At BLUECODE Labelling Technology, we can produce a range of Electrical & Warning labels made to each customers specific requirement. 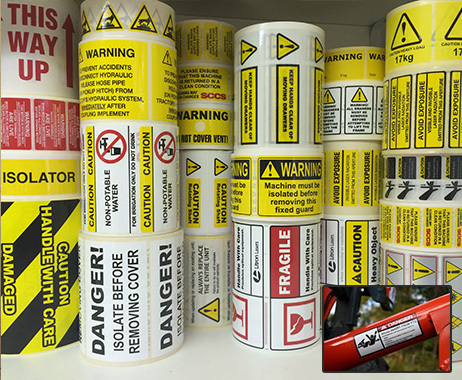 Labels are usually brightly coloured & informative divulging important information eg DIRECTION OF USE, SWITCH OFF WHEN NOT IN USE, KEEP DRY, KEEP AWAY FROM SUNLIGHT etc. Labels are usually over laminated for durability in harsh environments & can be supplied with a wide range of adhesives to suit each application. Labels can also be displayed in different languages. BLUECODE Labelling Technology also offer a range of Standard Electrical Labels and Standard Warning Labels in a wide range of sizes. These labels are available for immediate despatch.